The search for a great plate in My Kitchen, My Community, and My Travels. This school year, my husband and I have been hosting a foreign exchange student from Germany. For us, the transition has been very easy, as we often travel to Germany and enjoy a fair amount of schnitzel, pretzels, and beer. And our student has been so accommodating, eating everything I put on the table. But what is American food? We’re a land of immigrants, taking so much of our culinary landscape from the variety of cultures. Pizza? That’s Italian. Hot Dogs and French Fries? Everyone has some version of that. Or maybe Apple Pie? That’s basically just German Apple Strudel. Finally, it hit me: MEATLOAF. What can be more American than mom’s classic Sunday dinner? 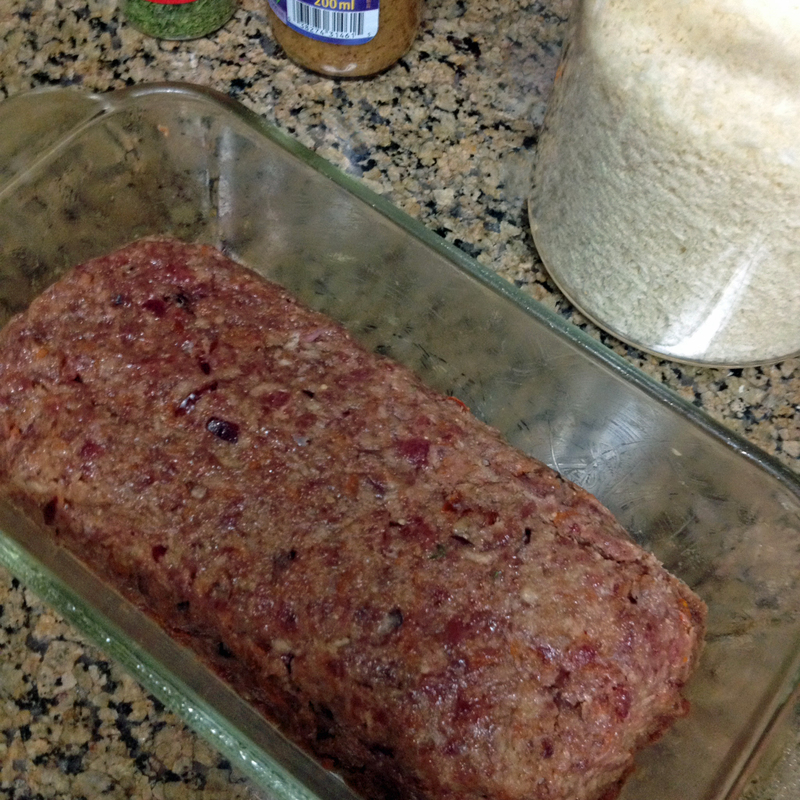 It has ground meat, ketchup, and a scant amount of vegetable all mushed together in a delicious brown-baked loaf. Here is my mother’s version, right down to my dad’s hunted venison. Combine all ingredients except the Breadcrumbs in a large mixing bowl. While you could use a large spoon to fold the ingredients into each other, digging in with your hands is much more effective. Your hands will help you incorporate everything better, without over-mixing. 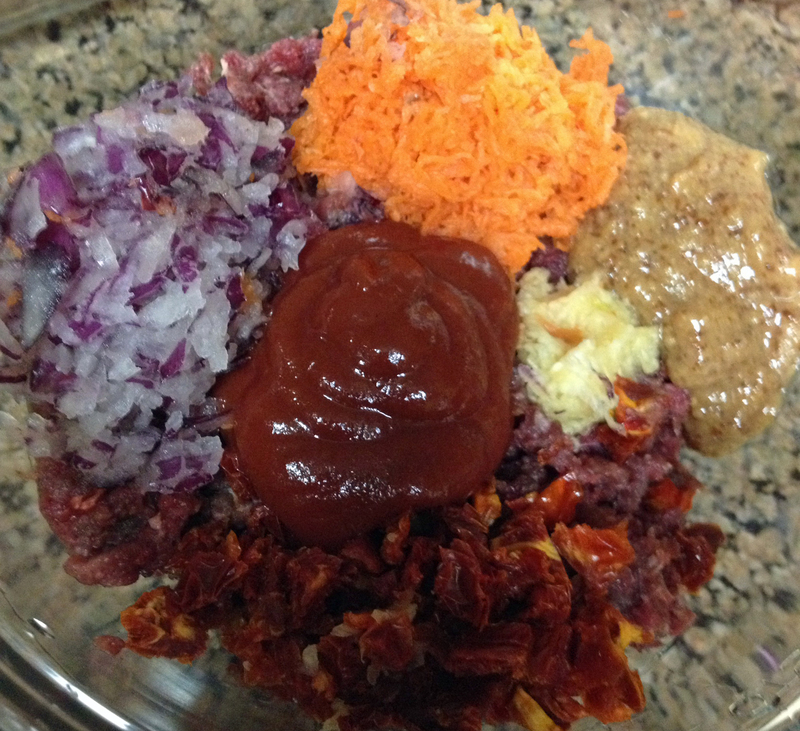 Depending on the moisture of the meatloaf mixture, you will need a varied amount of breadcrumbs. 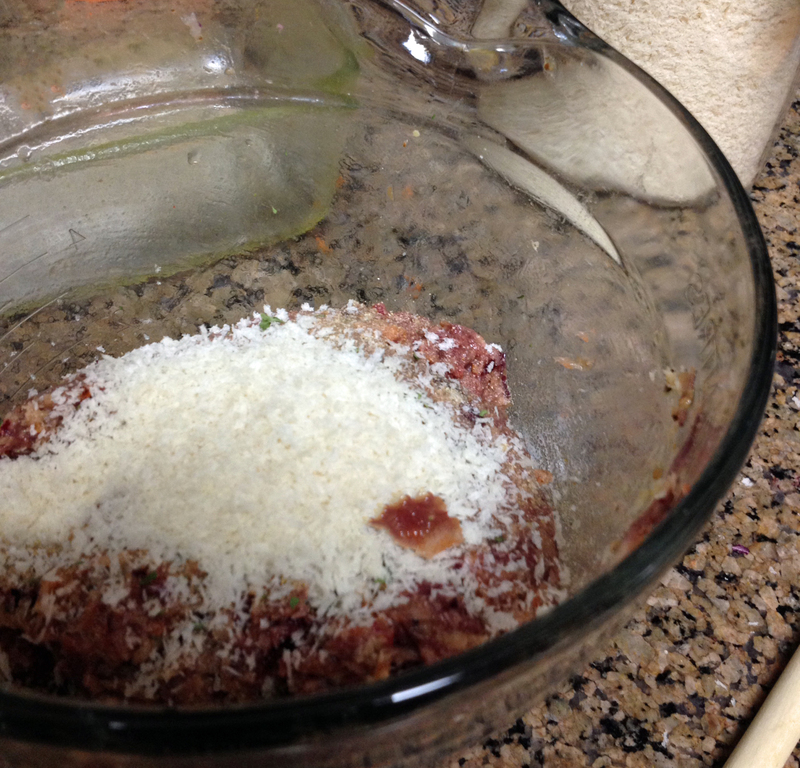 Begin first by adding 1/2 cup of the breadcrumbs. If the mixture feels very moist, gradually add more breadcrumbs. If the mixture can form a hold a shape, then you have enough breadcrumbs. As a generally rule, the fattier the meat (pork, veal), the more breadcrumbs you will need, verses the lesser fatty meats (venison, beef). Evenly coat the Loaf Pan with the Non-Stick Cooking Spray. Firmly pack the entire mixture into the center of the loaf pan, trying to leave about a finger-width gap around the edge of the meatloaf. This will help with more even cooking, and a golden brown finish. Place in the pre-heated oven for 30-35 minutes. 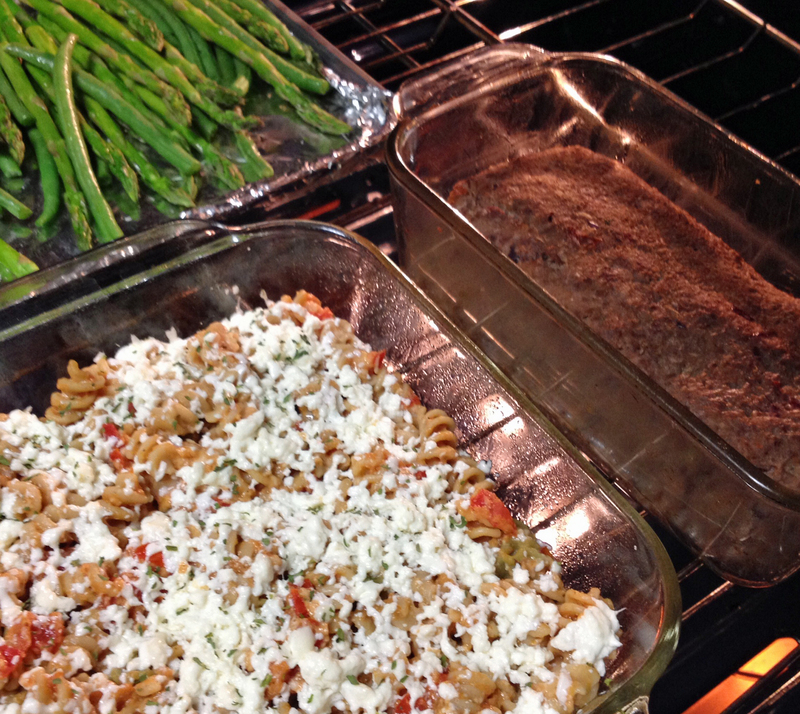 I like to add a few other items for the rest of dinner while the oven is already cooking. 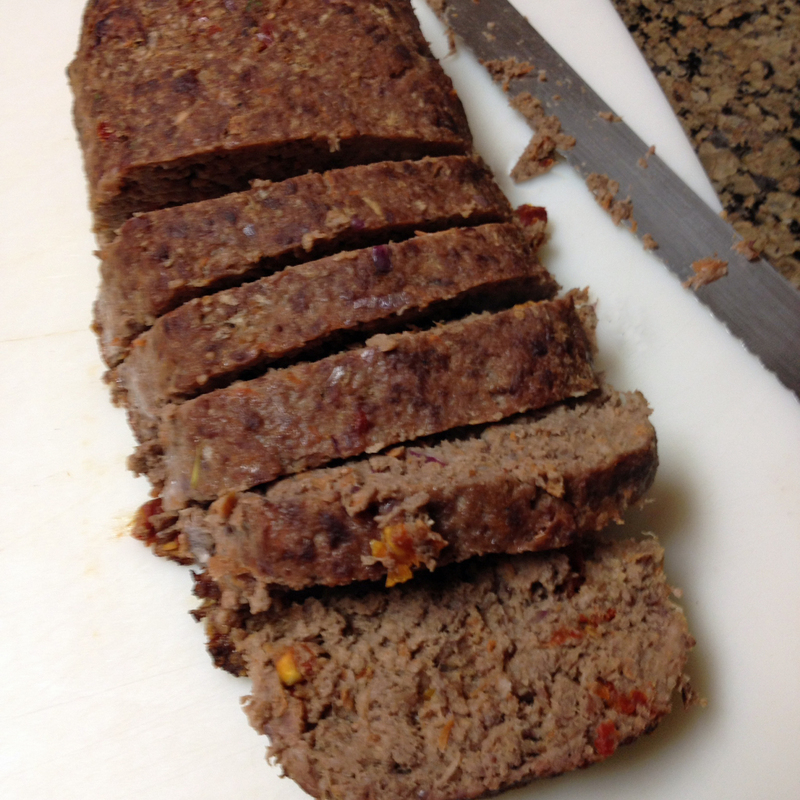 When the meatloaf is finished, pop it out of the loaf pan, and use a serrated knife to make slices about an inch thick. Meatloaf! Some mashed potatoes and a green vegetable make the perfect accompaniments to this American classic. 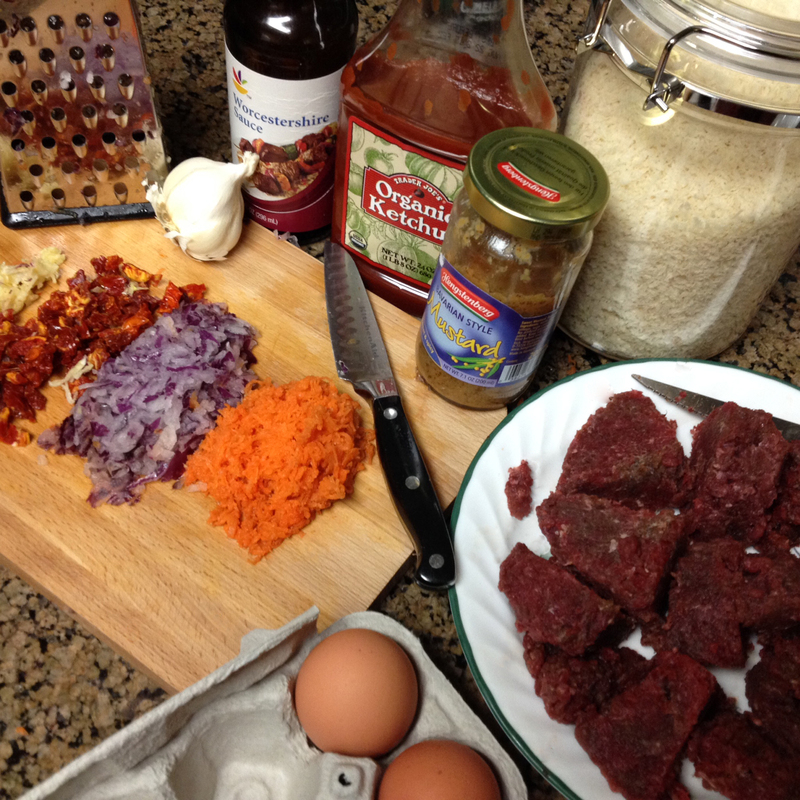 This entry was posted in Mains, Meats, Recipes, Uncategorized and tagged comfort food, mains, meatloaf, recipe, recipes, venison. Bookmark the permalink. Trekking to Advice: What my younger self needed to know.